Kiss the regret and the life you could have lived goodbye. Say hello to the life you are capable of creating and living. Time may have passed you by, but your dreams didn’t. You still have a chance to take that first step towards your goal no matter how tiny. It may be the hardest step to take, but it will be worth it. Matters of the heart don’t always come easy. Even if it was the wrong person. Be proud you were able to love at all and the lessons that followed because of it. It’s hard to forgive yourself for a decision that follows you around like a dark cloud for so long. But once you realized the experiences and lessons (good and bad) those student loans awarded you, it may not seem so bad after all. Things were different back then and college has changed. Don’t blame yourself for doing what you thought was right at the time. Think of it as a life lesson. Though sometimes we wish it wasn’t true, you can’t force love. And that includes yourself. You can’t make yourself love someone who isn’t right for you. Sometimes trying to “get it right” for so long is just proof that the relationship is wrong for you both. It was probably best to stop trying to get it right so love could grow better elsewhere. People change and relationships change. And while things may not always end the way you would like, trust that everything has it’s season. Though it may not have been pleasant the season ended when it was necessary. Whoever it was that exited your life served his or her purpose. And should this person in which you burned a bridge with is meant to be a part of your life, the lesson hasn’t been learned and will reappear when the time is right. “It’s crazy how fast time goes by.” We say it oh so often about our children, but barely recognize it applies to our parents until its too late. Then the guilty feelings flood in as you recognize the lack of affection and attention as you let life get away from you. Its ok. It happens and parents normally understand. Don’t beat yourself up over it. 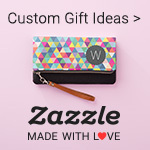 If your parents are still around there’s still time to show them the love you know they want. And if they’re not, continue to honor them and share the lessons they’ve taught you with others. This too shall pass. Life can’t be all about depriving yourself. Sometimes, you need to indulge. So you missed those workouts before. Who said you can’t make up for it today? No on expects you to know everything. Just be open to learning daily. I don’t think any boss expects employees to be absolutely perfect at everything they do. And if you took a poll, you’ll find that everyone makes mistakes at works. Just don’t allow those mistakes to change your work ethic. Selfish isn’t a bad word and we need to stop treating it as such. Regardless, if it was something as important as your career or as simple as taking a nap instead of assisting a friend, we all need to put ourselves first at some point. No need to feel guilty or ashamed. Sometimes you need to be selfish so you can be even more selfless for others. It’s not always easy to see all you are worth and deserve. Just remember, the only one who can determine your value is you. We don’t have all the answers and we can’t predict the future. As long as your heart was in the right place there’s no need to feel guilty. It’s never a bad thing when you attempt to guide someone who feels lost. Just like you’re not perfect, the world isn’t perfect. And that means there’s a lot of injustices that need to be fixed. You’re only one person and you can’t fix all of them. It’s ok if you didn’t have the strength, courage or drive to speak out against them all. Nobody expects you to save the world. Find the cause that speaks to your heart and go after it. We all know what they say about screen time. But you did what you needed to at the time and your sanity is sacred. The time your friend needed a ride home from work. The time you couldn’t be in the wedding. The time you missed the important phone call. You can’t be there all the time, but you are there when it matters most. There’s no rule on how long you are allowed to feel hurt. You did what felt right at the time. What’s important is you finally came around. The morals you ditched. The things you said. The outfits you wore to fit in. As long as you found yourself again, be proud of yourself. We are emotional beings. Sometimes those emotions are good and sometimes not so much. Unfortunately, lashing out is part of the territory. Recognize where you went wrong and make an effort to manage emotions a bit better in the future. Walking away from work. Walking away from school. Or walking away from that important project. Whatever it is, remember that everything has it’s season. You are allowed to regroup and recharge. It will probably help you get back to what you started even stronger. Looks can be deceiving and people can be hard to read. From introverts, extroverts, leaders and storytellers, it’s hard to tell who is who anymore. These very different characteristics can be misunderstood. We all do it sometimes. We live in a society thats constantly telling us we don’t have enough. From commercials, social media, and junk mail, there is always someone talking us out of our money. It’s not easy resisting the temptation. It happens to all of us. Put what you purchased to good use and take a lesson to better assess your necessities. We all want to be accepted by others. But if you haven’t accepted who you are, the approval from others won’t matter. Everything you are and will become is enough and all you need. It’s easy to look at all the people around you doing good in the world and feeling guilty because you don’t measure up. Maybe you couldn’t give your friend a place to crash at the time, or maybe you didn’t have change to give to the homeless man on the street. We can’t be everyone’s knight in shining armor. Instead, focus on the good you have done and the good you are capable of doing. Society glorifies the busy, overworked, and those who are everything to everyone else. It’s no wonder we don’t know how to be balanced. It’s a work in progress for everyone. You’re in good company. We like to believe that if we did things differently our lives would be better. Maybe it was a trip you skipped, or a career move you passed up on. Whatever it is, you can’t live in alternate realities. This is your reality. You are here and you are doing just fine. They say you should never ignore your gut yet you’ve done it a time or two. And that’s ok. As clear as your intuition may be, it’s not always easy to listen to when there are so many outside factors working against it. Luckily, your initiation doesn’t lose potency due to lack of use. Trust me. You’ll have more chances to listen to your gut in the future. If you think you haven’t accomplished anything, it might be because you aren’t paying attention. Every day is another opportunity to grow and become who you really are. As I deal with the constant battle of paying off student loan debt, I know my parents would constantly be hard on themselves for not teaching me better. However, I don’t blame them and no parent should be blaming themselves either. Why? Because you teach your kids all that you know. Maybe you should have known more, but that’s ok. What’s important is that we know better now and we can move forward with what we do know. TERRific Quip: Imperfection is a form of freedom. Do you have trouble forgiving yourself? Did any of these resonate with you? This list is so spot on! It helped me do some self-reflection, as a result, I realized I need to forgive myself for a few more things. This was a really inspiring post. “I can’t always be in control and that’s ok” is the quote that stuck out to me the most. We really do put ourselves under so much pressure! Is it even that serious?! Wow you preaching in here. 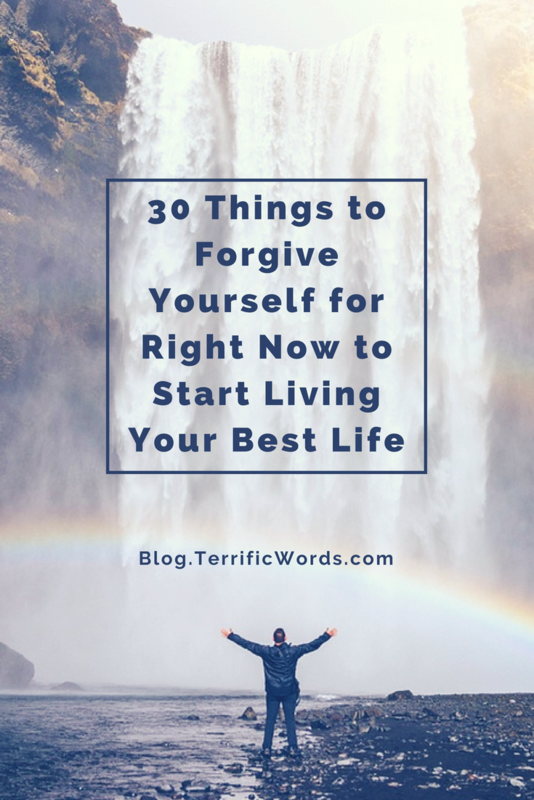 This is such a mindful post so many things to really start forgiving and be at peace with self! What an awesome post full of some really great reminders. I think sometimes we fall into the habit of listing who we need to forgive but never give that healing to ourselves. There are very few things that I struggle to forgive myself for. Finding my passion this late in life is the biggest. Not that I beat myself up about it per say. I just wish I had time to really go after it. I did not discover my passion until after I had 2 kids and I was in a relationship. I’ve long since forgiven myself for the workouts I haven’t done. This is my favorite one on your list. LOL. I forgive other people easily but I am super hard on myself. 16 and 19 are struggles for me! I’m slowly learning to be more gracious with myself. This is a great list! I have forgiven myself for #3 – Student loans and have made it one of my life’s goals to not have to pay it all back…ever. In life, we have to let go off things or else we gonna continue to hate each other. I have forgiven myself for a lot of things so far. Thanks for this post. It is very inspiring to think about how we can accept and feel okay when we do things that we thought maybe were the wrong choice. But nothing you do is really wrong. I always try to look at my decisions like, how does this decision serve me and why is it actually a good thing. I’ve done each and and every one of the things you listed. I find relating myself to several of the points here. Such a powerful blog post! This year one of my goal is mental health / self love and one of the things I’ve learn is for me to let go or accept things the way it is. Your blog post truly confirms that learning.